Ann Arbor Public Schools (AAPS) board of education regular meeting (March 27, 2013): The main agenda item for trustees was agreements with the Ann Arbor Education Association (AAEA), representing the district’s teachers, paraeducators, and office professionals. The agreements, which were approved unanimously by the board, will save the district approximately $3.4 million in the 2013-14 fiscal year. Teachers agreed to a 3% pay cut for the 2013-14 year, while paraeducators and office professionals agreed to mandatory furlough days for the 2013-14 and 2014-15 school years. The trustees and district superintendent Patricia Green expressed their appreciation for what they called the “shared sacrifice” of the AAEA members. 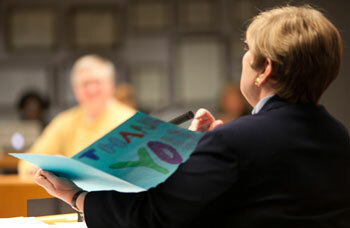 The board heard extensive public commentary on several possible budget cuts. The board is facing $17-$20 million of cuts for next year’s budget. The board also spent a significant time reviewing policy changes, brought forward by president Deb Mexicotte. Some of the policy changes included placing limits on board meeting times, adding items to the agenda, and changing the board’s committee structure. The board is considering a change from its current committee-of-the-whole to its former committee structure of two different standing committees. Previously the board had a committee for planning and one for performance – but it’s not clear if the board will settle on those committees. The board will consider the raft of policy changes at its next regular meeting, on April 10. The trustees also adopted an affirmation of boardsmanship, which is a “shared belief of values” that Mexicotte presented. The hope is that such a shared set of values would help guide them in their interactions with each other and the community. The affirmation came about as a result of their August 2012 board retreat, when board members decided that their number one board goal was to work on building trust with each other. As an introduction to her president’s report, Mexicotte noted that the trustees have received a “prodigious amount of information” and have done “a prodigious amount of work” leading up to now. They are now looking to pivot from the information-heavy part of the year to the budget part of the year, she said. In that context, Mexicotte continued, this was a good meeting to have a conversation about some concerns raised by trustees, the administration, and the community. These concerns relate to the length of board meetings, how items are placed on the agenda, the workload on the administration, and how best to coordinate between the administration and the board as it relates to bringing things forward in a comprehensive and timely way. To do that, Mexicotte proposed some changes to AAPS board policies. She reported that she had already discussed with trustees on an individual basis some of the changes she was putting forth. It was her intention that – with board approval – the changes would be implemented immediately. Mexicotte suggested amending Policy 1200 to reflect a time limitation for meetings. She recommended that no regular meeting last no longer than five hours, measured from the official start time. All critical items that require board action would be moved to the front of the meetings. Trustee Glenn Nelson strongly agreed with setting time limitations for their meetings. He said it would be key for making the system work, whatever system the board has. He also asked that trustees consider placing time limitations on each segment of the agenda. The allocation of time for each segment would be made as part of the agenda setting process. He suggested a time limit by default, unless the majority of the trustees wanted to continue the discussion. Trustee Andy Thomas was in agreement with Nelson. If the board moved to a standing committee structure, an item that comes to a full board meeting would have already been vetted by committee. A presentation longer than 15 minutes wouldn’t be necessary. He suggested allowing each trustee two minutes each to offer his or her views on each topic. Susan Baskett said she appreciated the desire to limit the board meeting time. But she felt a change in committee structure might result in trustees wanting more information than an executive report. With that in mind, she asked that questions that arise from an executive summary be allowed. Mexicotte reiterated that even with time limits, there is the opportunity to discuss and ask questions. She said that the changes were in no way meant to squelch questions, but to expedite the work. Mexicotte said that Policy 1220 needs to be updated because the board had recently changed the procedure for adding items to the agenda by a majority vote of the board. Mexicotte also recommended that items could be added to the agenda through the committee structure. This means that the committee structure would be changed, as well. To clarify how items could be added to the agenda, Thomas outlined the various ways items could be brought up. Items could either be added during the agenda planning time of a regular meeting, when a majority vote would be required. Or an item could be referred to the appropriate committee, and the committee could place the item on the regular board agenda for review. A third option would be for the board president and the superintendent jointly to decide a matter was of such importance, that it needed to come forward immediately. Nelson mentioned that it was important to note that if a standing committee decided a topic was not important enough to elevate it to a regular board meeting, an individual trustee could still bring it up during agenda planning time as a candidate for inclusion on a future agenda. Mexicotte confirmed that, saying each trustee has an obligation to bring to the full board anything they want to have the board consider. Mexicotte asked that trustees return to a standing committee structure, as opposed to the committee-of-the-whole (COTW) structure they had put in place at their Oct. 26, 2011 meeting. If the standing committee structure were to be restored, they would rescind Policy 1400 (Committee of the Whole), because it would no longer be required. This would allow trustees to have a more targeted focus for their committee meetings. Mexicotte’s initial suggestion was for two standing committees – one on “student achievement” and one for “budget/financial” issues. This suggestion met with mixed reactions from the trustees. 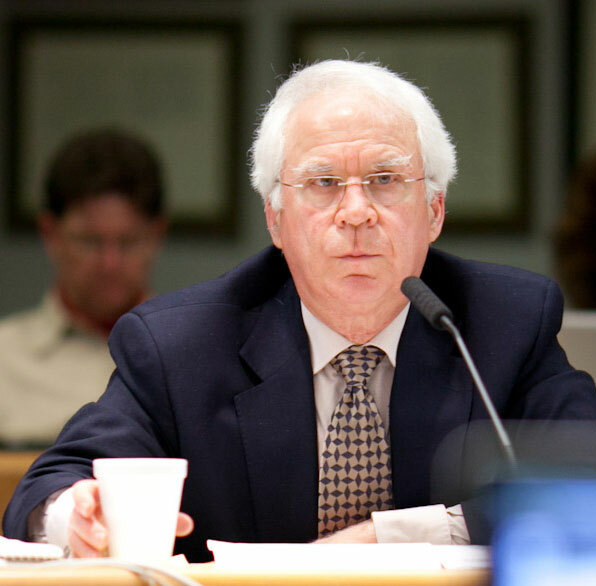 Nelson said he would prefer “performance” and “planning” – the standing committees that existed before the board converted to the COTW structure. He felt that having committees that mirrored administrative departments could cause some confusion about who was in charge of that department – which would be the case with student achievement and budget/financial committees. Trustees Christine Stead and Irene Patalan both said they would prefer planning and performance committees. Stead noted that none of it was perfect. Thomas said he supported the committee structure that Mexicotte originally presented, because he always struggled with what belonged in performance and what belonged in planning. Based on the feedback from the trustees, Mexicotte said she could propose additional adjustments and changes, incorporating planning and performance standing committees. The trustees could then discuss both options at board’s April 10 regular meeting, she said. Thomas noted that trustees were considering these changes to deal better with the amount of information they receive. One reason their meetings have lasted so long, he said, is that several informational items have been brought before the board with no prior discussion. Those items take longer to present, and require longer discussion and commenting time. If a standing committee structure were restored, those longer informational presentations would be given to the committees. Only if the committee decided an item required board action, would it go forward to the full board. Mexicotte confirmed that generally Thomas had accurately characterized how items would be presented. At regular board meetings, executive summaries of information would be given for the public and for the board members who are not members of a particular committee. Baskett asked if the committee meetings would follow the same open meeting policies as the current COTW structure. Mexicotte responded that because each standing committee would be a subquorum of trustees, the committee meetings would not be required to be posted as open meetings. Meeting minutes, would have to meet legal requirements, but the committee meetings themselves not be meetings under the Open Meetings Act. ["Gatherings of fewer than a quorum are not meetings, thus are not required under the OMA to have minutes kept. However, if minutes were kept for such a gathering, they could be requested under the Freedom of Information Act."] Mexicotte also noted that committee members can invite anyone they would like to attend to their meetings, but it was different from an open meeting. Patalan asked if “study sessions” would again be added as a meeting type. Mexicotte said that under the standing committee restructuring, study sessions could return. If there was an agenda item the board wanted to hear in full, they could schedule it for a study session. Nelson said he was hesitant to add more meetings to the board’s schedule. Mexicotte responded to Nelson by saying study sessions could be eliminated, but that didn’t hamstring the board from hearing things they wanted to hear as a whole board. Patalan noted that the key to making the standing committee structure work was for the board to trust the committee process. “We went astray when we stopped trusting the process,” she said, and subsequently adopted the COTW approach, so all trustees could be part of all decisions. Mexicotte also suggested two other committees: an executive committee made up of the chairs of the two standing committees, the board president, and the superintendent who would set the agenda; and a governance committee that would examine policy and how the committees are operating. Thomas said he would like to see both committees, as they would have fairly distinct functions from the other committees. 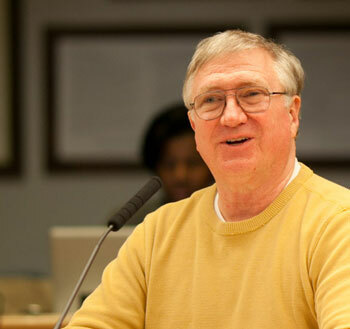 Stead expressed some hesitation to add more committees because of the administration burden. Mexicotte responded to Stead by saying that governance committee could be structured so that it wouldn’t meet more frequently than bi-monthly – and neither the governance nor the executive committee would include anyone other than trustees and Green. Thomas said that the committees could ultimately save some time and stress on the administration. Mexicotte also asked that Policy 1460 be changed to reflect that each trustee had the opportunity to serve on one standing committee. The president would appoint members to the committees after soliciting interest from each trustee. Outcome: This was a first briefing. Mexicotte will adjust the policies based on trustee discussion and bring the item back for a second briefing at the next regular board meeting. Mexicotte again introduced the affirmation of boardsmanship, a document she had originally presented at the board’s Jan. 16, 2013 meeting. When introducing the topic, she said that she wanted to look again at shared expectations for how the board does its business. Mexicotte asked that trustees articulate those expectations for themselves, as well as for the rest of the community. She had brought it back to the board to hear what other trustees were thinking. Several of the trustees expressed their support for the document. Patalan said she was in favor of the affirmation and has read the document several times. She appreciated the board setting a framework and shared set of values, and expressed hope that those values could “spill out to the rest of the community as we go forward into some really trying times.” Thomas was also supportive, but asked if the document would be enforced. Mexicotte replied that the affirmation would simply be a shared set of expectations – to which trustees hold themselves and each other accountable. She would not ask they sign a pledge, but instead that they join together in a shared set of principles. Nelson, while supportive, said that a document such as the affirmation of boardsmanship is only useful if it is well considered. He said it would be easy to approve it, then shelve it. Stead said that she supports the intent of the document, and could see ways of keeping it in front of the board – to make it more real and useful. Responding to Stead, Nelson said maybe that was the answer – to take it off the shelf and review it. Baskett questioned why the board had the affirmation in the first place. She didn’t want to talk too much more about it, saying “it is what it is.” To her, the items in the document were goals, but trustees are human and can stray away from those goals. Mexicotte made a motion to adopt the affirmation, saying she brought it forward with “a full heart and great hopefulness and optimism for what will be a very difficult few months.” While it wouldn’t hurt anything, it could possibly help, she said. Outcome: The board unanimously adopted the Affirmation of Boardsmanship. The upcoming budget decision for FY 2013-14 budget emerged as a topic throughout the meeting. The board is facing $17-$20 million of cuts for next year’s budget. The trustees unanimously ratified agreements with the Ann Arbor Education Association (AAEA), which represents the district’s teachers, office professionals, and paraeducators. The agreements will save $3.4 million for the district. The tentative memorandum of agreements state that they were made in response to the financial challenges the AAPS is facing, due to a lack of funding for public education. 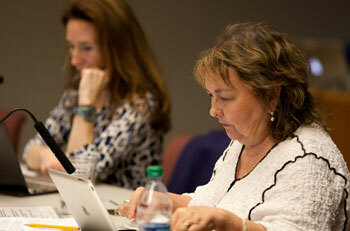 The AAEA for teachers has agreed to a 3% salary reduction for the 2013-2014 school year. All teachers will continue to move up the salary schedule. The AAEA for office professionals has agreed that in lieu of a percentage cut on the salary schedule, they will take six furlough days without pay during the 2013-2014 and the 2014-2015 contract years. The AAEA for paraeducators has agreed to four furlough days without pay during the 2013-14 and 2014-15 contract years. A step freeze will be in place for those contract years, as well. All three bargaining groups will review the MESSA ABC plan and offer it as an alternative health insurance choice with specifics on cost and contributions to be outlined once all data has been received. As a condition on offering MESSA ABC, it must coexist with the plans currently offered and not result in any additional cost to the district. MESSA ABC is a lower-premium, higher-deductible plan that is projected to save approximately 10-25% compared to current MESSA options. The trustees and Green said they were very appreciative of the work and sacrifice made by the bargaining units on behalf of the district and the students. Nelson said that he regrets that they weren’t able to support education in a way that reflects the important work teachers and staff do. After thanking union leadership and the executive cabinet, Mexicotte thanked the “rank and file” who voted to bring the savings to the district. She said they worked harder and harder every day because they are asked to, and they do it for the students. Stead noted that the teacher unions have done a fine job in representing the people they represent in the district. It was a “great example of how people pull together.” Patalan said she was so grateful students have staff who loves kids, loves teaching, and has shared ownership over the district. Green said that these discussions were “not the things in normal circumstances they would ask anyone to do,” but that everyone recognized that the survivability of the district is at stake. As an information item, Nelson previewed the community budget dialogue meetings. 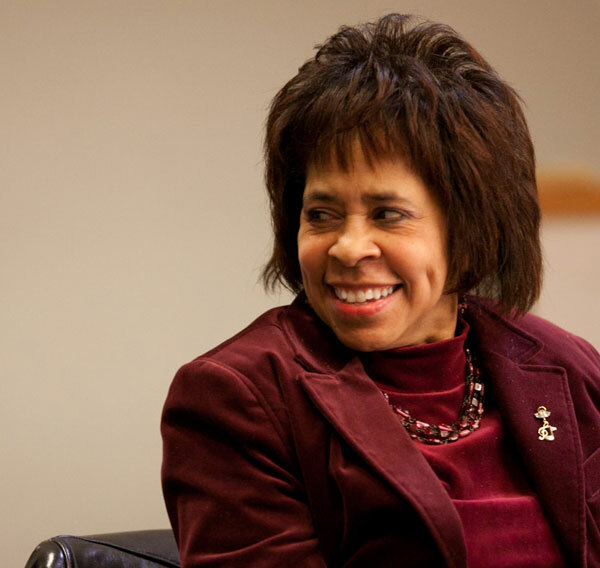 The dialogue meetings will be structured differently from the forums that have been held in previous years – to emphasize that “we really do mean dialogue,” said Nelson. Several board members will attend each meeting to engage in conversation with the community, to answer questions to the best of their ability, and to hear ideas. The conversations, Nelson hopes, will focus on how the community wants the district look, where the resources come from, and what the guiding principles are. Additional community forums will be scheduled in early May to discuss the draft AAPS budget for 2013-14. Ten members of the public spoke to express their support of programs that the board has identified as possible reductions. The board is considering cutting all district funding for theater for a savings of $200,000. 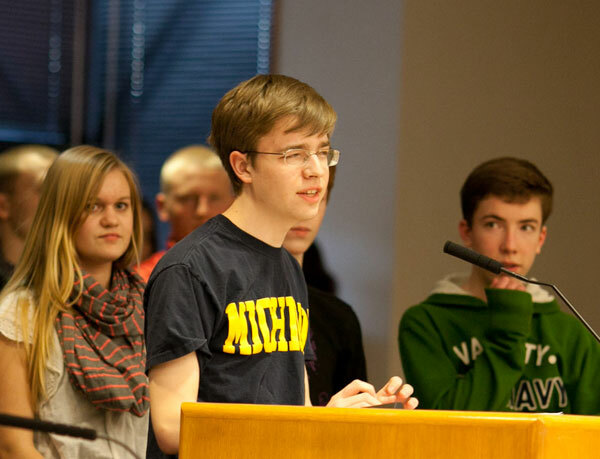 Jackson Tucker-Meyer spoke in favor of maintaining district funding for theater. Two students shared their personal stories of how they felt accepted in theater guild. Jackson Tucker-Meyer, a Pioneer High School student with Asperger’s, argued that theater guilds are neither optional nor expendable. The guilds are a necessity for people like him and his friends. Alisha Aldridge, Pioneer theater guild member, said that theater guild was the only place that had provided emotional support when her personal life was in upheaval. She said the board would regret cutting funding to the program. Community High School teacher Kenneth McGraw asked the board to reconsider the decision of putting Community’s block scheduling on the list of possible cuts. He argued that block scheduling makes sense for good instruction. Kenneth McGraw, Community High English teacher, spoke in favor of maintaining block scheduling at Community. Christa Moran, a Community High parent, stood with two of her children in support of the programs offered at Community. She noted that 455 students had entered this year’s lottery for Community, and pointed out that money is returned to the district from families who come back to the district specifically so their children have an opportunity to attend Community. She asked that the trustees consider which district programs were working and bringing money back to the district. The board is considering restructuring Roberto Clemente Student Development Center to achieve targeted savings of between $127,379 and $348,677. Last year, the board received significant blowback from the community when it considered closing or restructuring Clemente. Longtime Clemente teacher Mike Smith admonished the board for the lack of “serious dialogue” between the administration and the Clemente staff over the past year. He asked that Clemente either be shut down or that they engage with dialogue to find out what would be an effective program for the students. Karrah Weeder, a Clemente student, spoke about how wrong her initial impression of Clemente was – that it was a school for “the bad kids.” For students like her who can’t deal with distractions, she said, Clemente is working. She pleaded with the board not to take it away from her or other students like her. David Malcolm stands with Minnie Morales, in support of Roberto Clemente school. David Malcolm said that Clemente students don’t want to walk through a back door into Pioneer [referring to a suggestion that Clemente students could have their own entrance into the dedicated space at Pioneer]. He brought Minnie Morales to the podium to speak about her son who passed away. 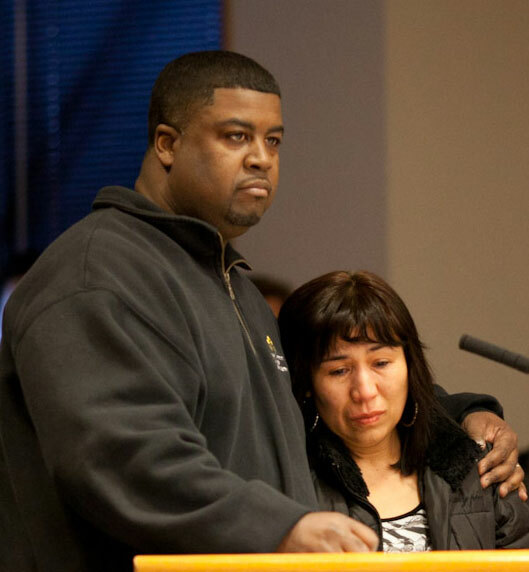 When he died, Clemente principal Ben Edmondson opened his home to her family. The board is considering cutting one third of district funding of athletics for a savings of $1,000,000. Betsy Petosky told the board that if the district cuts funding to student athletics, AAPS won’t be the same kind of exceptional school district it has been. She noted that while athletics boosters are successful at raising money for equipment and tournament fees, they won’t be able to make up for a $1 million cut. School sports cannot succeed without district assistance, she said. Barbara Malcolm said she understood budget cuts, but not on the backs of the students. She maintained that the students should be the least affected by the cuts the district has to make. She questioned the superintendent’s salary and asked if there were any bonuses given out by the administration last year. Green clarified that no decisions have been made on the budget at this point. She said that what the administration has been doing is costing out programs so the board can make informed decisions about the budget. She emphasized that the district is facing a $17 -$20 million shortfall. At the March 27, 2013 meeting, the board heard from AAAA, AAEA, AAPAC, and the Youth Senate. All of the presentations addressed the issue of the budget. AAEA president Linda Carter thanked all the AAEA members for their support and concern that has been shown through the challenging times for AAPS and public school in general. Membership participation in the election process was 91% – the highest level of participation Carter could remember. The vote for the tentative agreement was “evidence that Ann Arbor teachers care about the future of the AAPS community.” She asked community members to get involved by lobbying their legislators and informing family and community about the threats to public education. AAAA president Michael Madison reiterated that it was because of state policy that the district is facing such a drastic cut to its budget. He asked that they come together to no longer be a “district of schools, but a school district” to work through the challenges. He also asked that budget cuts be made with the district’s brand in mind – a brand consisting of a rigorous academic curriculum taught by the best teachers, an amazing athletic program, and a fine arts program second to none. Nicholas Liu and Betty Hu, sophomore senators from Pioneer High School, spoke about the possible ramifications of eliminating 7th hour from high schools. The board is considering cutting 7th hour – for $500,000 in savings. They argued that if 7th hour was cut, students would have time in their schedules only for classes required for graduation and would not be able to explore their own personal interests with classes. The other options available to students to satisfy their graduation requirements are online courses, which are expensive and not as effective, and testing-out, which is not effective for students who have a harder time learning on their own. Liu and Hu maintained that cutting 7th hour significantly limits how students can achieve in school, both personally and academically. In response to the discussion by the board about special education funding at the March 13, 2013 meeting, AAPAC representative Carli Hildebrandt gave a broader picture of the special education program in AAPS. She explained how special education full-time equivalents (FTEs) were defined by the state. She made the point that while AAPS might only have 390 special ed FTEs, that does not mean there are only that many special education students in the district. Instead, the number was closer to 2,000 students who have Individualized Learning Plans (IEPs) in the district. Therefore, AAPAC said, it was “misleading to divide the district’s total spending on special education by the FTEs” to determine the amount of money spent per special education student. Nelson introduced Diane Hockett and Mary Jane Tramontin, both up for re-election to the Washtenaw Intermediate School District (WISD). 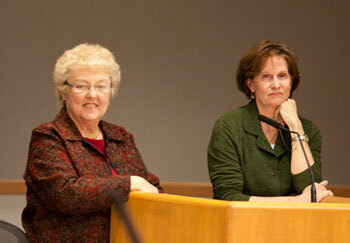 Washtenaw Intermediate School District candidates from left: Diane Hockett, Mary Jane Tramontin. Anyone who is a resident of Washtenaw County can run for a seat on the board. Nominating petitions are due back to the Washtenaw County Clerk’s office by Monday, May 6, 2013, at which time candidates must also file an affidavit of identity. Nominations require the signatures of between 40 and 100 Washtenaw County registered voters or payment of a $100 non-refundable filing fee. The election will take place on Monday, June 3, 2013. The WISD board of education is composed of five members who serve staggered, six-year terms. No more than two seated intermediate school district board members may live in the same school district. The body electing the ISD board members is composed of one member of the board of education from each constituent district, designated by the local board of education. Each trustee had the opportunity to ask a question of the candidates. Thomas asked if there were further opportunities for cost savings through consolidating services through the ISD. Nelson asked if the candidates would support a countywide enhancement millage, and if so, how AAPS could best help a successful passage. Patalan asked about the changing role of the ISD. Stead noted the “donor district” status of AAPS and asked what was the “highest impact, highest value” role the ISD could play for AAPS. Mexicotte asked how the candidates balanced the interests of AAPS with the interests of the county as a whole, since both candidates reside in the AAPS district. Green asked if WISD planned on playing a larger role in advocating for legislative change. Outcome: This was an informational presentation. WISD elections will be held on Monday, June 3, 2013. The board meeting was started off by the “Sounds of Ghana,” a musical performance by Mitchell Elementary 4th graders. Mitchell principal Kevin Karr introduced the group. They were led by vocal music teacher Dan Tolly. AAPS superintendent Patricia Green reads a thank you card from Tahani Othman’s class. In addition to the general praise, she commended the high school winners of the Ann Arbor Breakfast Optimist Club’s Harold Eastman Outstanding Achievement Award; Community High’s “The Communicator Online” finalist status for the Pacemaker award; a student who was accepted into a science program; elementary school music students; the successes of the Pioneer DECA chapter at the state conference; high school music ensembles; entrants into two local juried art shows; Forsythe Middle School students who succeeded in the Knowledge Master Open; teachers who presented at a conference; family reading night at Bach Elementary; the Bands in Review performance; and the success of the Community Buildings program. Green also noted several thank you cards she received from classes in the district for her guest reading appearances. Thomas noted that this was the third year in a row the Communicator has been in the running for the top student newspaper in the country. Stead asked that they applaud all the accomplishments of teachers and students, to which all board members gave a round of applause. Nelson expressed some dismay over the number of times the climate survey review has had to be rescheduled. He said that he has been in touch with several groups in the community who wanted to be involved with the climate survey meeting and who were clearing their calendars. He asked that they be conscious that board agendas are followed by members in the community. Baskett questioned the value of hearing the 2011-12 climate review survey in April of 2013. She said they wouldn’t be able to implement anything learned from the survey during the current school year. Although the district is currently conducting the 2012-2013 climate survey, Green said there wouldn’t be enough time to develop a report that presented the findings from this year. Mexicotte said that since they did not want to disenfranchise any of the community, the climate survey would stay on the April 10, 2013 regular meeting agenda, instead of being placed on a standing committee agenda. Green noted that one of the presenters will not be able to attend the April 10 meeting. In response, Nelson ventured that maybe the point has somehow been reached where the discussion would be better at the committee level. During items from the board, Stead noted that the Educational Achievement Authority (EAA) legislation has been passed by the state house of representatives and advances to the senate. If it were to pass the senate and get signed into law, it would expand to 50 schools throughout the state. Stead questioned what incremental cut every district was going to have to make from the School Aid Fund in order to provide funding for the EAA. A new revenue stream has not been associated with the EAA, and there has already been nearly $50 million allocated to the 15 schools currently operating under the EAA. The total cost of the program was an unknown, and Stead maintained that it was not well thought out or well planned. Present: President Deb Mexicotte, vice president Christine Stead, treasurer Glenn Nelson, secretary Andy Thomas, and trustees Susan Baskett and Irene Patalan. Next regular meeting: Wednesday, April 10, 2013, 7 p.m., at the downtown branch of the Ann Arbor District Library, 343 South Fifth Ave. I spoke at the meeting about Roberto Clemente remaining open. I would like to state again that this school is very important to me. I really dont know where I would be without it. Sure, Roberto is costing money…but isnt our future and well being worth it? The first of four “Community Dialogues” was held at Clague Middle School on March 28, and it drew a sizeable crowd. Hosted by alternating AAPS school board members, these meetings are an invitation to the community to share creative ideas on how the district might generate more funds to stave off or reduce further cuts. Several participants brought forth proposals deserving consideration. However, not surprisingly, the majority of time was filled by parents, teachers, coaches and a student, expressing concerns about possible cuts to or elimination of athletic programs, the fifth grade instrumental music program, the theater programs, block scheduling, the seventh-hour option and the foreign language program. They spoke against larger classroom sizes, reducing teachers’ pay and a shared principals model. Parents of Community High and Roberto Clemente students extolled the virtues of each. Almost every cut or reduction under consideration had one or more passionate opponents – with a few exceptions. In some cases proposed cuts are based on an expectation that programs can attract more private or corporate funds, or that staff can consolidate functions. But those kinds of cuts are finite, and eventually AAPS will need to make “existential” cuts to programs and services. The format of these meetings is not particularly conducive to a comprehensive discussion about trade-offs. But rather than pitting proponents of specific programs (or opponents to their cuts) against each other, perhaps the conversation be should framed as a discussion of principles and data that should guide the decision-making process. Several of Thursday night’s speakers spoke eloquently about the values intrinsic in a school system that maintains its arts, music and theater programs – that gives students with those interests and gifts an environment that appreciates and supports their creativity. Few would deny the importance of establishing a guiding value that states our community wants schools that support the success of a diverse student population. Both measures would create at best an inconvenience and at worst incredible hardship to many AAPS families. Hardest hit will be families who live furthest from their home schools, particularly those without cars and/or with inflexible work schedules. Families with low incomes will be disproportionally affected, of course, and for some it might be nearly impossible to get their children to school. Consider for example high school students living at Carrot Way, a supportive housing complex off Dhu Varren Road. Mapquest estimates it would take them over 2 hours to walk to Skyline High School. Similarly Hikone (a public housing community off Packard Road) students would need more than an hour to walk to Pioneer. The cost of AATA bus passes, which would run ~ $300 per student annually, is cost prohibitive for many of these families. Currently the high school graduation rate for Economically Disadvantaged AAPS students hovers around 67% – meaning one in three AAPS students from families with low incomes does not graduate from high school. This number will likely worsen if transportation to middle or high schools is eliminated. And, since African American students are disproportionally represented in the “Economically Disadvantaged” category, the much-lamented achievement gap will no doubt grow wider. As the discussion of AAPS budget cuts continues, perhaps the examination of the values intrinsic in these decisions should be clearly illuminated. While Ann Arbor values diversity, families with low incomes often don’t make it on the radar of decision makers. Without a doubt, cutting middle and high school transportation will hurt many students from economically disadvantaged families disproportionally. A community that makes those cuts sends a clear message about how much importance it places on the investment in their success. One of the revenue enhancing strategies suggested at the first meeting focused on using AAPS district’s excellence as a marketing tool to encourage tuition-paying international student enrollment. Apparently a Detroit suburb is doing just that and attracting a significant number of paying Asian students. Wouldn’t that be ironic: if AAPS cut its transportation to middle and high schools, making getting to school much more challenging for its local constituents, yet worked to attract students from thousands of miles away? The usual game–bring in the special interest with articulate parents (sports, theater, etc.) and tell them you are going to cut the things that mean most to kids. Someone brings up a point about teacher salaries and benefits and the MEA Union plant storms out of the room. Every year we get the same threat about the budget and things seen workout. 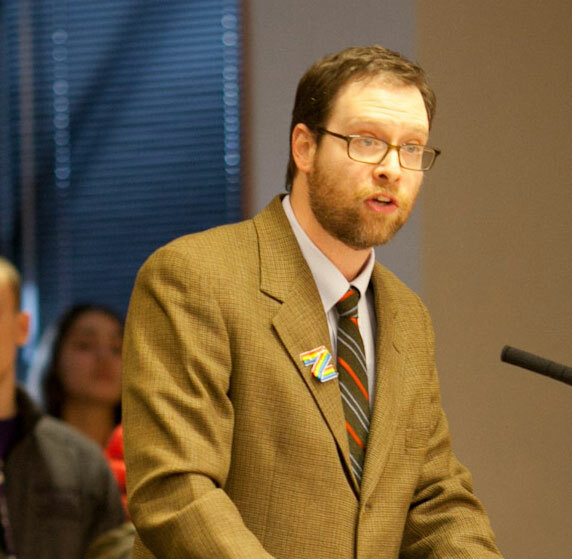 Poverty is on the rise in Washtenaw County and we cannot afford another millage for schools. CUT SPENDING. What about making Community High School a Charter School? Those who want to go there can. Yes it is open to everyone, but clearly the best and brightest go there -hence high ACT scores and low free and reduced lunch. IF AAPS schools are so great, why are we loosing kids to charter schools and you have 500 please who want to go to Community High School. Why can Northside get rid of the principal that is not good? Why are we not closing schools with low enrollment? Teachers should take a 10% reduction in benefits. Wish the AAPS would stop being controlled by the teacher’s union. I also went to the first of the community dialogues. I agree that the format was not all that conducive to discussion (in large part because the school board members seemed to feel they had to respond to every comment–and really, they don’t), but as the discussion went on, that got better. I really appreciate the school board doing these and I hope they will be receptive to some of the good ideas that I heard. I like Joan’s idea of thinking about key principles and data. For me, a large part of the framing (in the discussion) came around the issue of class size. Would you give up transportation to keep class sizes the same? 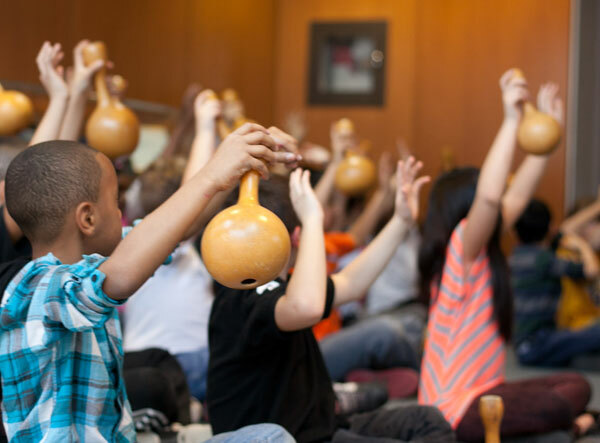 How about magnet programs? What about theater? Art? Etc. I agree with Joan that it’s important that people GO to these dialogues–and that includes you even if you don’t have kids in the schools and maybe never have or never will. They are still your schools. Good schools are still critical to your property values. I’m also hoping there will be a few more candidates for the WISD Board positions. I in no way mean to imply that either of the candidates running for re-election have done a poor job. However, one has been on the WISD board for 12 years and the other for 19 years. WISD elections have typically not been contested. We’re asking the WISD to take on more and more consolidated activities. The new Ypsilanti Community Schools have nobody from their geographic area on the board. (Greg Peoples lives in the Lincoln School District.) I think contested elections would bring needed attention and discussion to the WISD board, to what they do, and to what they should do. 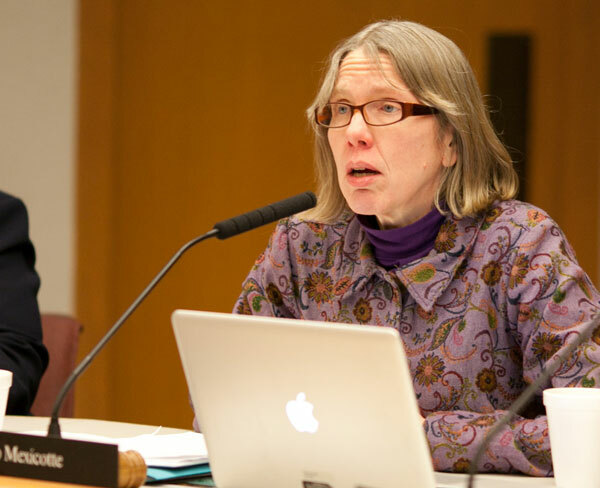 Sue Sue, I think that the question of whether we should close schools with low enrollment (and why they have low enrollment) will be part of the discussion for next year’s (2014-2015) budget, when I predict that we will have some schools closed. Teachers just agreed to a reduction in this contract; they also had reductions in their last contract.